You woke up early morning, today, getting prepare to your job. Your boss told you that you got plenty to do getting ready to accept a new load of truck for the office. You make your coffee fast as you can, and run out to your car, parked in the driveway. When you’ve left your cup of coffee near by, and looked for your car keys, you suddenly realize, you didn’t grab your house and car keys from the table. The key ring that hold all your keys, is left behind. This is not a good way to start your day, but it’s not the end of the world. When you lock yourself out of your car, home, or business, you want the fastest emergency locksmith service that you can get. It doesn’t matter if you lock yourself out of your house early in the morning, or your car, late at night. We provide 24/7 emergency lockout services Allentown PA for automotive, commercial, and residential clients. 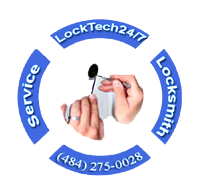 Our mobile locksmiths serve Allentown PA and Metropolitan. We can unlock any vehicle door, as well as unlocking residential and commercial doors. Fast Allentown lockout service is only one phone call away to get you back on your day, as soon as possible. Don’t let a lockout incident to ruin your day, you can make it easy if your call us. In many cases, our locksmith arrives on site to see the customer who tried to do it by himself and damaged the door of his vehicle or his property. In one case, they want to save their money, but in other case, the damage gets even greater. We offer 20 minutes response from your first call until our locksmith arrive on site. Wherever you’re located right now in Allentown PA, we can be there with you, fast and easy. When you lock yourself in a rash, we get you in urgently. It doesn’t matter if you lock out yourself out of your home, or perhaps you lock yourself out of your office, we can help. Unlocking doors is our expertise. Furthermore, we give to lockout services first priority in our daily schedule. That means, when we get two jobs at the same time, we do lockout services first to anything else. As you can see above, we can help you to unlock any door, whether automotive door, or commercial door. Please call us as soon as possible to provide you with a fast and efficient emergency lock out service. In addition to our emergency lock out services, we also provide full suite of automotive locksmith, commercial locksmith, and residential locksmith services.